We at West Oso ISD are in partnership with Communities in Schools of the Coastal Bend to help bring this amazing and important program to the district at all four campuses. The mission of CIS of Texas is to surround students with a community of support, empowering them to stay in school and achieve in life. The Five CIS Basics are core tenets to success that every individual needs for success. 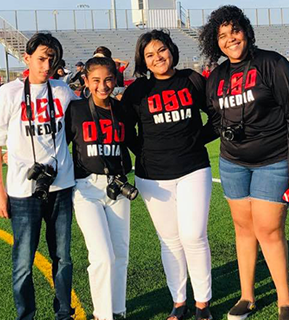 At West Oso High School, we incorporate these values through our program plans, services, and interviews and through direct observation of the CIS environment on our campus. If you have any questions or concerns, please feel free to contact our site coordinator.